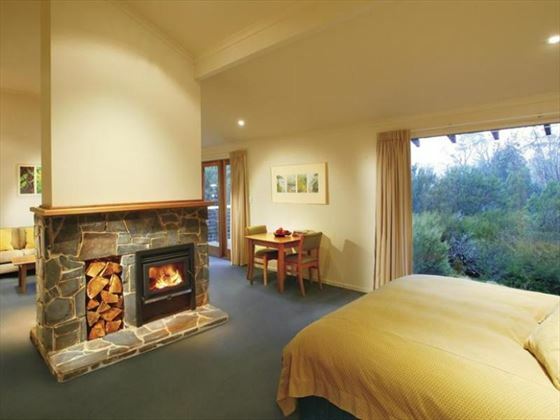 Peppers Cradle Mountain Lodge, Australia. Book at Australian Sky today. 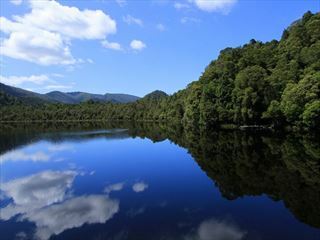 This secluded oasis is one of Lonely Planet’s Top 10 Most Extraordinary places to stay, and for good reason. 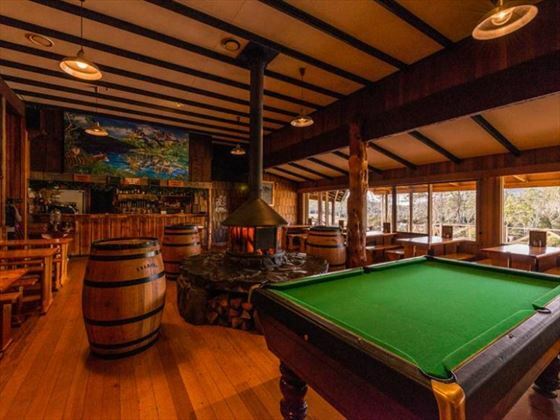 Located in the beautiful landscapes of Cradle Mountain-Lake St Clair National Park, 203 miles from the capital Hobart, each rustic cabin is surrounded by verdant forests, soaring mountain ranges and sparkling lakes, only adding to the resort’s charm. You’ll be sure to marvel at the scenes around you as you slowly wander along the wooden boardwalks from your cabin to the main lodge, spotting curious wildlife on the way. 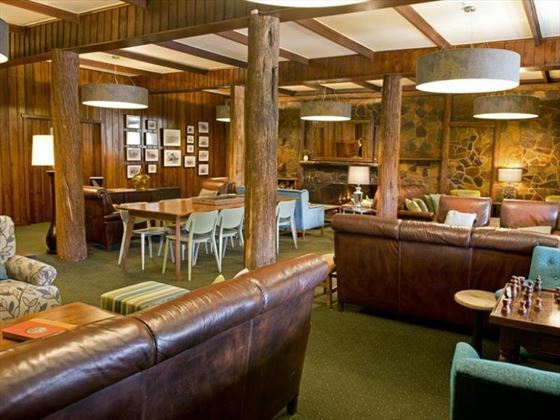 The main lodge is delightful, and home to sumptuous restaurants and cosy bars, all fit with welcoming log fires and excellent Tasmanian fare. 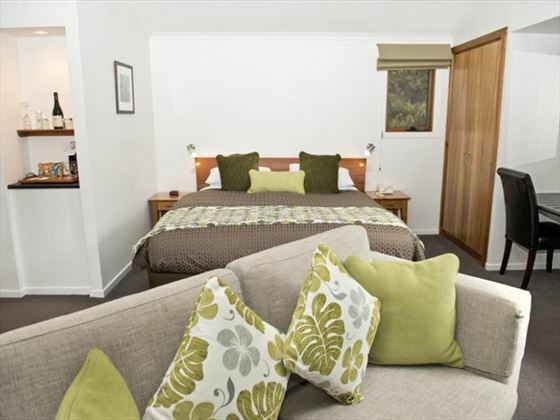 As for the cabins, they’re certainly charming, offering homely furniture and lovely views of the National Park. We love the Waldheim Alpine Spa, which offers a unique spa experience for its guests. The holistic treatments are influenced by its naturally beautiful surroundings, offering the perfect backdrop as you revitalise and relax with a massage or facial. The Sanctuary is truly spectacular, with unbeatable views of forest and lakes from the steam room, hot tub and plunge pool. You’ll be sure to feel like royalty here. 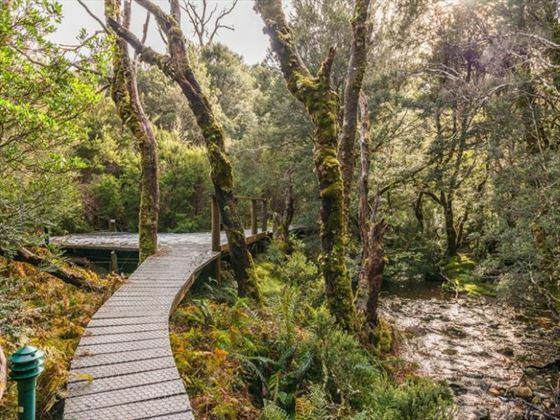 Nestled right on the edge of Cradle Mountain-Lake St Clair National Park, this beautiful lodge’s location offers breath-taking walking trails, amazing birds, plants and alpine forests, and a truly tranquil ambience. 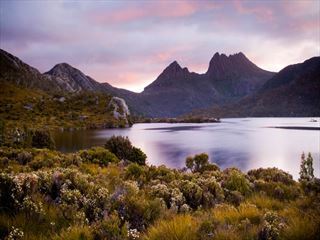 Hikers will love the trails leading through forests and mountain ranges, whilst an exploration to Dove Lake offers unforgettable views. 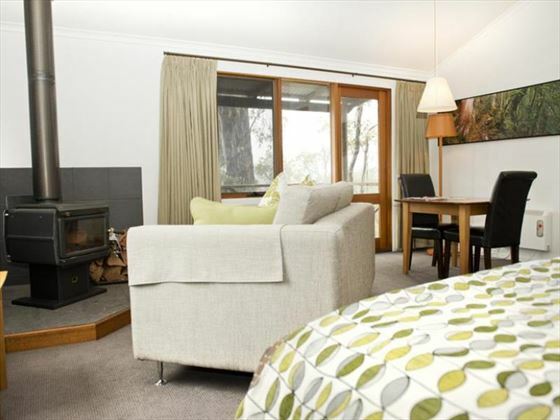 Pencil Pine Cabins – Enjoy gorgeous views of Cradle Mountain Lake or the rugged plains. These cabins featuring comfortable furnishings, warm décor and a gas heater reminiscent of a traditional fireplace. Sleeps a maximum of two adults and two children. Pencil Pine Balcony Cabin – Quaint cabins with the same amenities as the Pencil Pine Cabin, plus stunning views of the wilderness from its private balcony. Sleeps a maximum of two adults and two children. Contemporary Spa Cabin – Similar to the cabins before, plus a lovely spacious bathroom with an indulgence spa bath and bathrobes, plus tea and coffee making facilities and excellent views. Sleeps a maximum of three adults, or two adults and one child. 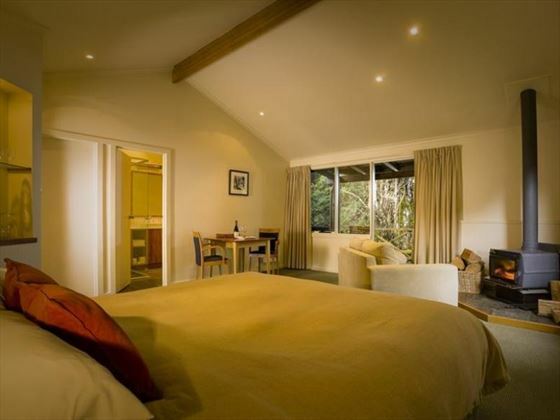 Spa Suite – Truly romantic cabins, featuring a plush king bed, handmade Tasmanian wood furnishings, a lob combustion fire, a deep spa bath, a fridge, and a complimentary tea and coffee station. Sleeps a maximum of three adults or two adults and one child. King Billy Suite – Luxurious cabins featuring lavish amenities, including beautiful wilderness views, a private hot tub, a separate living area, an oversized bathroom with a spa bath, a double-sided wood fire, and a decadent complimentary bottle of port. Sleeps a maximum of three adults, or two adults and one child. 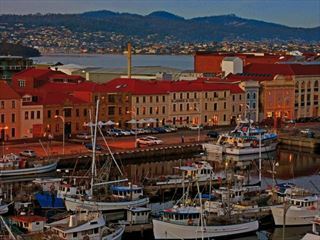 Tavern Bar & Bistro –Visit here for a more casual affair. 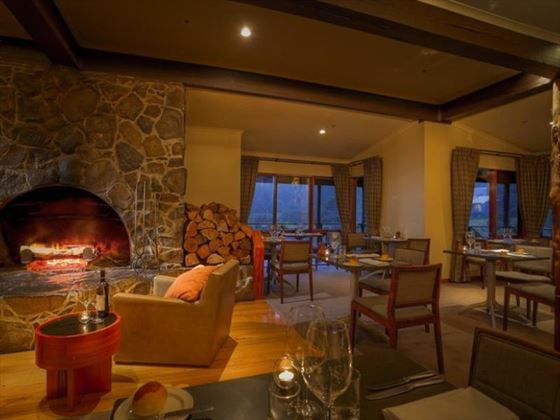 Offering hearty bistro meals, a cosy atmosphere, and a large central wood fire. Open daily for lunch, afternoon tea and dinner, from 12pm-5pm and 5.30pm-9pm. Guest Bar & Lounge – Settle into a comfortable armchair by the grand open fire and sip on a pre-dinner drink or a nightcap. 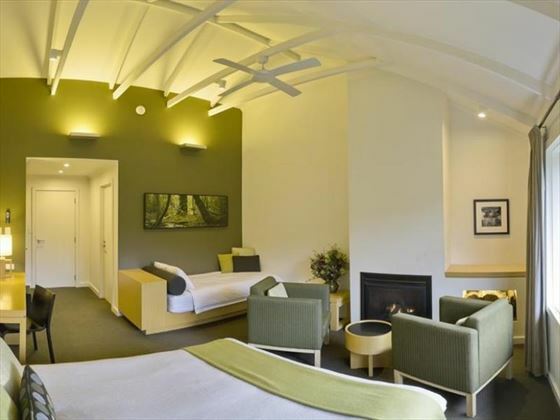 Waldheim Alpine Spa – Treat yourself to ultimate luxury and relaxation at this award-winning alpine day spa. 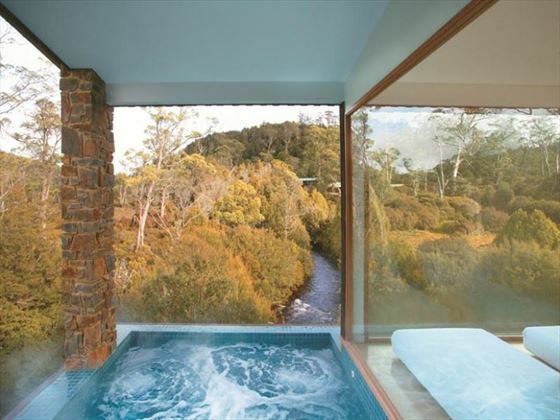 The treatments used here are inspired by the natural beauty of Cradle Mountain, and what an inspiration indeed. 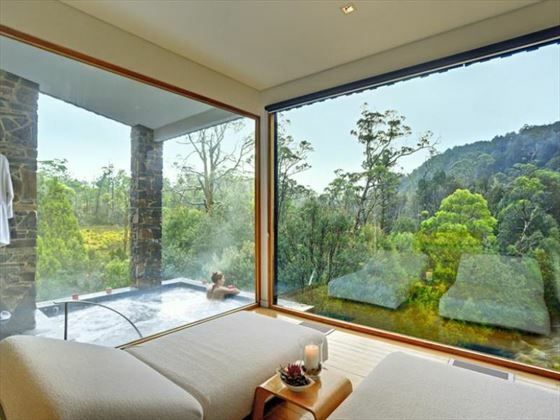 With incredible views of the rugged mountains and ancient forests, this spa has some of the best views as you relish in the amazing treatments on offer, including hot stone massages and facials. 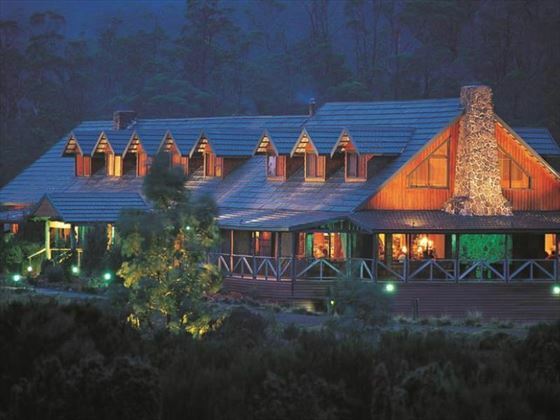 After revitalising with a full body massage, head to The Sanctuary for a truly impressive view of Pencil Pine River and King Billy Pines as you enjoy the steam room, sauna, hot tub, plunge pool and relaxation lounge. Appointments only and bookings can be made up to 7pm.